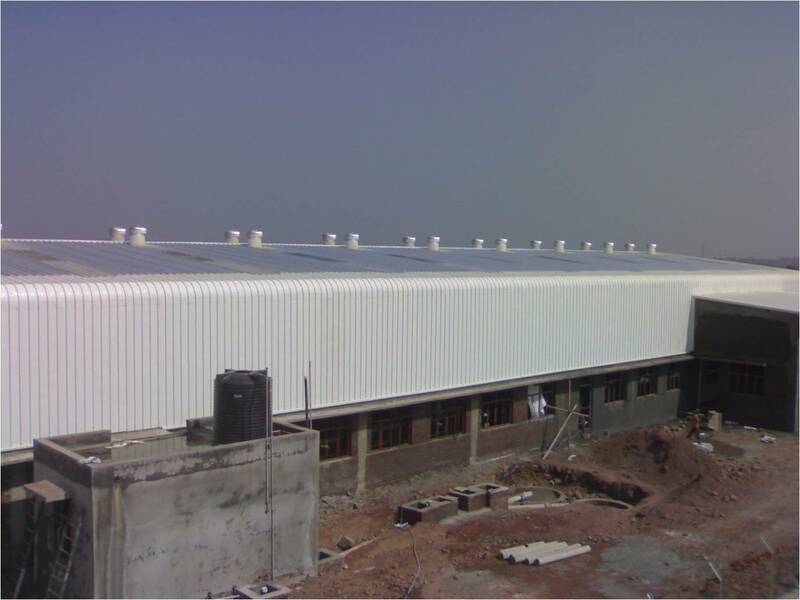 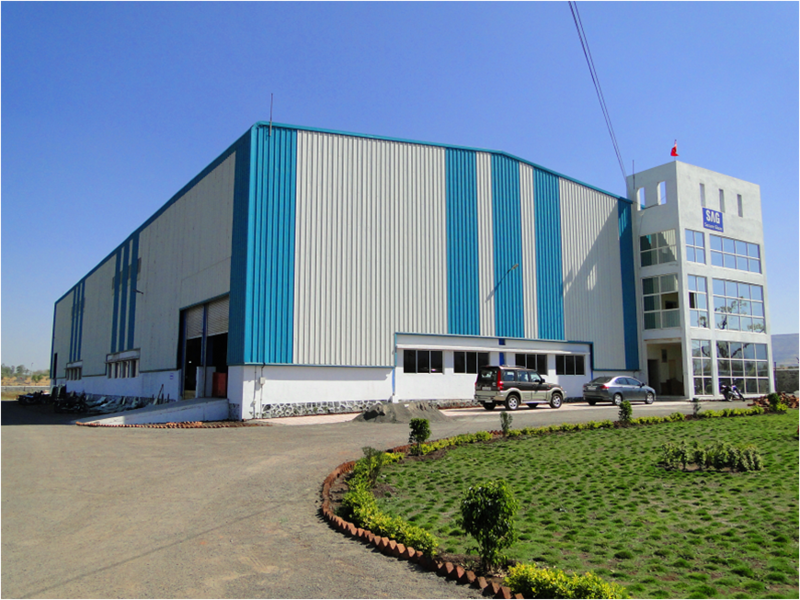 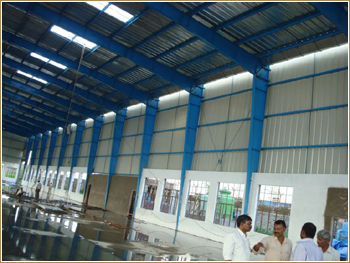 > Pre-Engineered Building – Sheetala Infrastructure Consultancy Pvt. 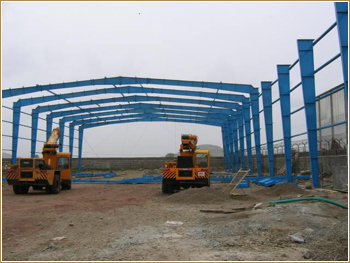 Ltd.
Pre engineered steel buildings are factory-built buildings of steel that are shipped to site and bolted together. 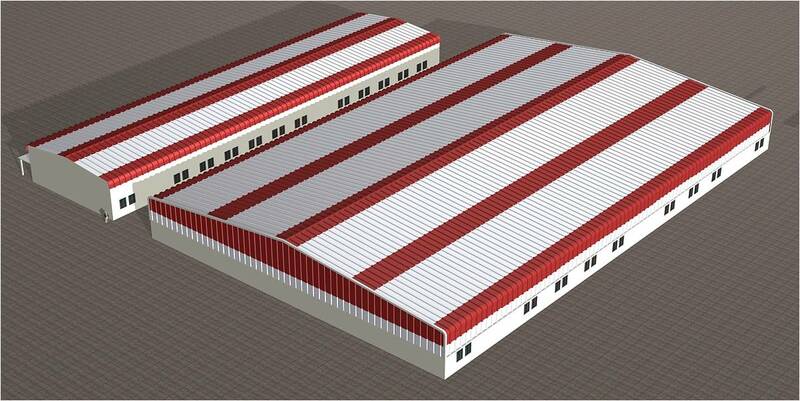 This type of construction is ideally suited to industrial buildings and warehouses; it is cheap, very fast to erect, and can also be dismantled and moved to another site . 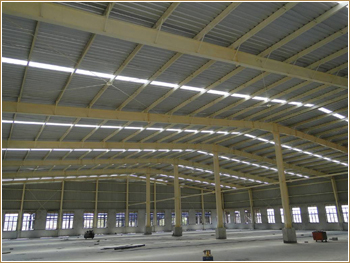 Speed is achieved because while the foundations and floor slab are being constructed, the beams and columns – the structural system – are being fabricated in the factory. 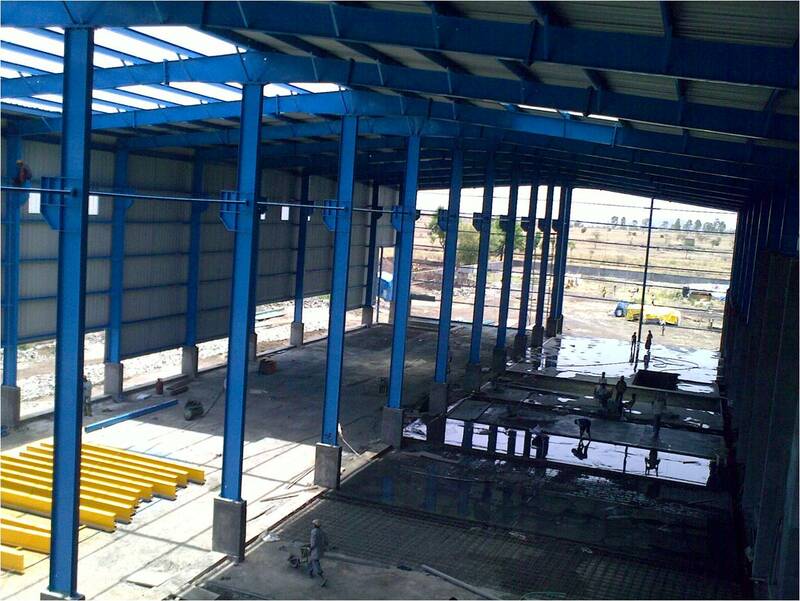 Once the foundations and floor are done, the columns are transported to the site, lifted into place by cranes, and bolted together. 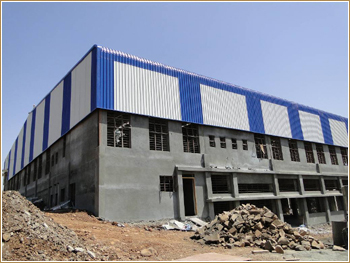 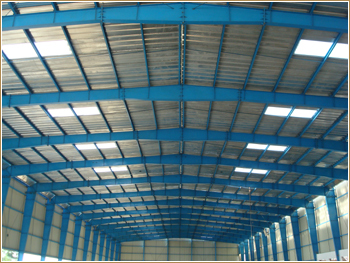 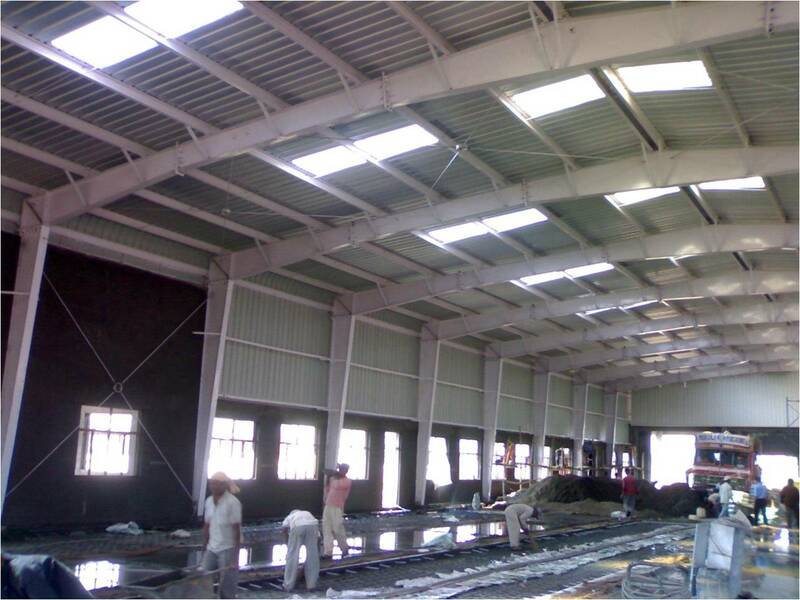 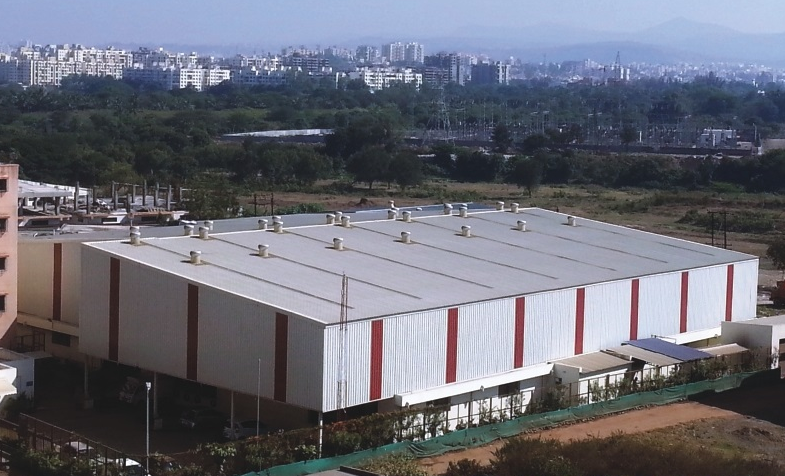 The structural system of pre-engineered steel buildings give it its speed and flexibility. 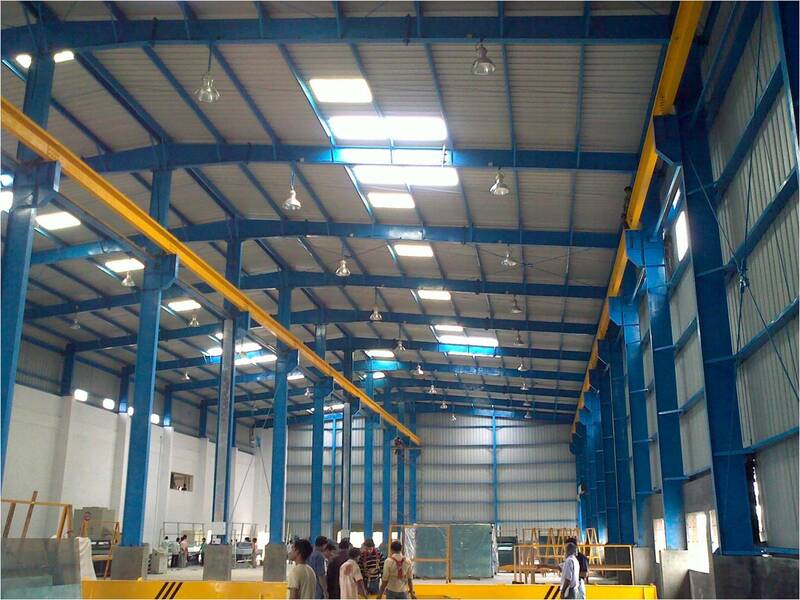 This system consists of factory-fabricated and factory-painted steel column and beam segments that are simply bolted together at site. 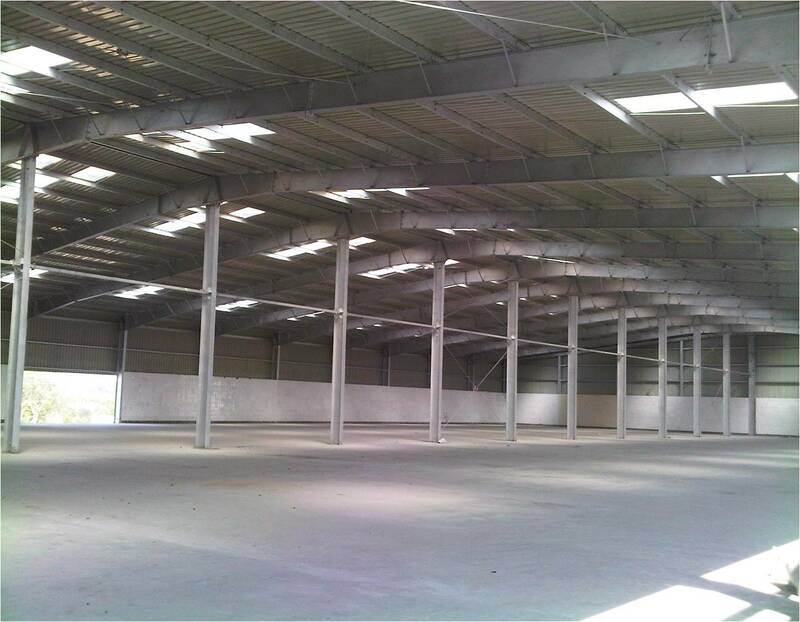 The columns and beams are custom-fabricated I-section members that have an end plate with holes for bolting at both ends. 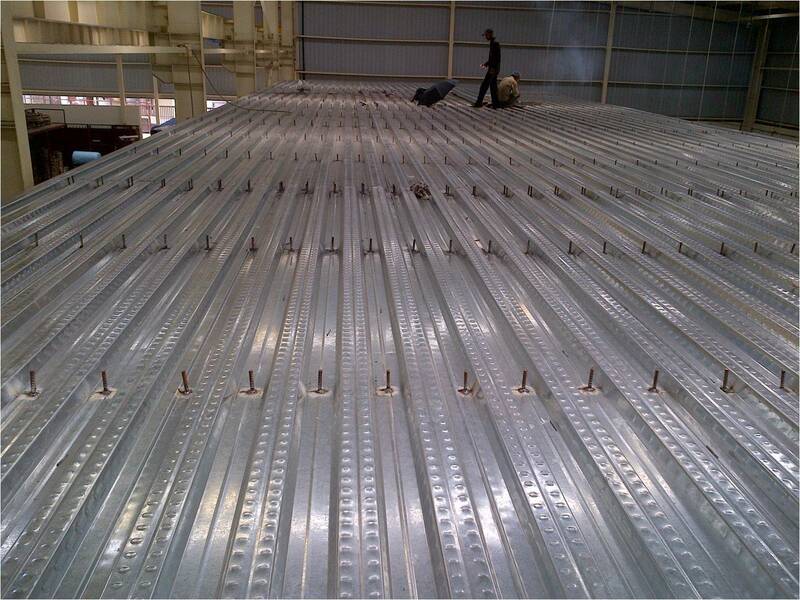 These are made by cutting steel plates of the desired thickness, and welding them together to make I sections. 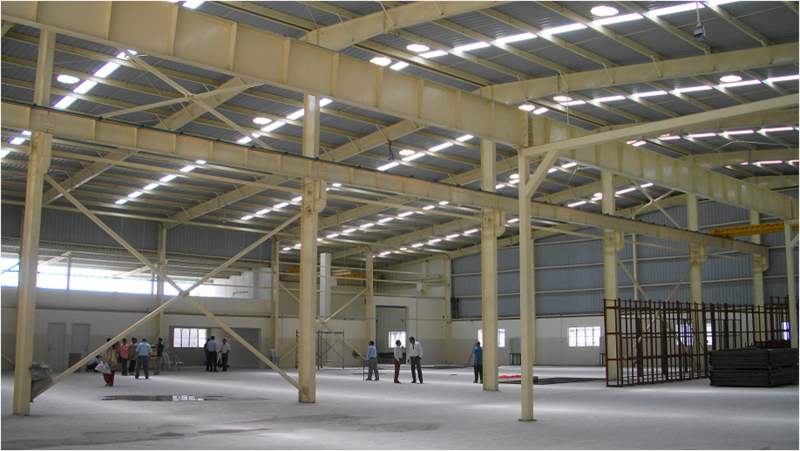 The shape of the beams can be tailored to optimum structural efficiency: they are deeper where the forces are greater, and shallow where they are not. 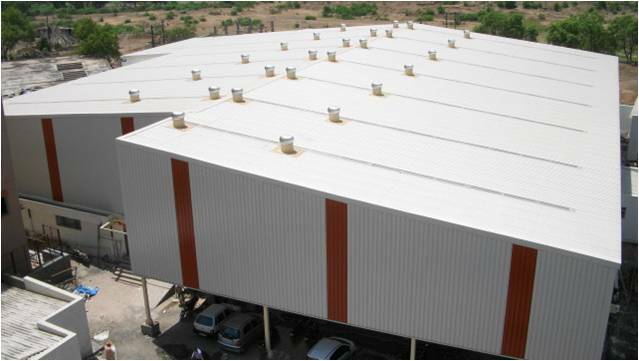 This is one form of construction in which the structures are designed to carry exactly the loads envisioned, and no more.